Helps support Pink Ribbon Girls. This product is not affiliated with, endorsed, or sponsored by the Cincinnati Bengals. Pink Ribbon Girls mission is to balance the fear and uncertainty that breast and other women's reproductive cancers bring to individuals and families by providing direct services, education and support. 8% from every shirt sold will be donated to Pink Ribbon Girls. 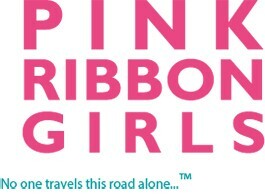 If you or someone you know could use help from PRG, please contact Jan Middleton at jan@pinkribbongirls.org or call 513-207-2421. Garret Wolowski has always had a traditional, passionate, and creative personality. Beginning at a young age with crayons and colored pencils to recreate sports logos and cartoon characters, his artistic path has led him to graduate from Villa Maria College with a Bachelors Degree in Graphic Design. Garret Wolowski considers his specialty to be layout design, with an avid interest in sports logos and uniforms.